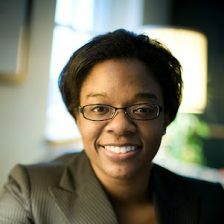 Atiya Kai Stokes-Brown is Professor of Political Science at Bucknell University. A dynamic leader with more than 10 years of experience working in higher education, Dr. Stokes-Brown has worked collaboratively in numerous capacities across the college community, demonstrating strong academic and administrative leadership, and a deep passion for liberal arts education. Most recently, she provided campus-wide leadership regarding the importance of diversity and inclusion to the educational mission of the university serving as Interim Associate Provost for Diversity. In this role, she was responsible for advancing the University’s diversity initiatives with faculty, staff, and students, and monitoring and promoting inclusiveness in the University’s teaching and administrative endeavors. Her responsibilities also included implementing the University’s search guidelines policy, developing bias response policy, and enhancing efforts to recruit and retain a diverse faculty and staff. Dr. Stokes-Brown has presented and/or participated in a number of diversity and multicultural workshops and organizations such as the Association of American Colleges and Universities (AAC&U), the Consortium for Faculty Diversity, and the Liberal Arts Diversity Officers (LADO), as well as at various colleges and universities. Drawn to academia by the desire to give back and help build inclusive communities, Dr. Stokes-Brown received her Ph.D. in Political Science from the University of Maryland, College Park and her master’s in Political Science from Temple University. She graduated Phi Beta Kappa with bachelor degrees in Politics and Dance from Randolph-Macon Woman’s College (currently known as Randolph College). She also received a Certificate of Achievement, National Association of Diversity Officers in Higher Education, Standards of Professional Practice Institute. Her teaching interests include American Politics, Racial/Ethnic Minority Political Behavior, Latino Politics, Women and Politics, Campaigns and Elections, and Congressional/State Politics. Dr. Stokes-Brown has more than 15 publications broadly centered on the political incorporation of women and racial/ethnic groups into the American political system, and issues of representation. She is the author of The Politics of Race in Latino Communities: Walking the Color Line (Routledge, 2012, 2014) and her work has appeared in several peer-reviewed journals including the Journal of Politics, American Politics Research, Politics and Policy, the Journal of Elections, Public Opinion, and Parties, Social Science Quarterly, National Political Science Review, and Political Research Quarterly. She is also the author of several peer-reviewed book chapters. A native of Philadelphia, PA and a graduate of the Baldwin School in Bryn Mawr, PA, Dr. Stokes-Brown resides in the Lewisburg area with her husband and four children.